Want to know what you’ll be learning in your first aid training? We’ve got all the information you need, right here! If you’re reading this then you’re probably about to undergo some first aid training. First aid training courses are essential for businesses, shops and more establishments, so that there is someone appointed who can provide first aid in an emergency. As the first line of prevention, first aid can sometimes decrease the severity of the situation until the patient is taken to the hospital or the paramedics arrive. It can save lives. That’s why, essential first aid training is so vital for everyone and every business/establishment. Most establishments need someone trained in first aid, and for many offices it’s a legal requirement. So, if you’re looking to learn a little more before you start your first aid training, you’re in the right place. In this post we’ll tell you everything you need to know before you start. Including what you’ll learn and even some helpful information that will help you get ahead before you start. Welcome to your first aid training guide. Like we’ve said, first aid is a crucial part in the prevention of accidents turning more serious. Initial treatment by a qualified first aider is an essential part to stop incidents progressing further. It can potentially stop life threatening moments too – like choking – where instant treatment is required. There’s a number of different occasions where first aid is necessary, including the treatment of cuts, burns, asthma, choking and more. Having a trained, qualified and appointed first aid officer helps ensure that work place accidents are dealt with quickly and in the right way. In the more severe cases, it’s to ‘buy time’ until the ambulance / paramedics arrive at the scene of the incident. Prevention is always key when it comes to first aid treatment – prevention of the accident is ideal but hey, accidents happen. So, ensuring that there is someone who is qualified for first aid is an absolute necessity. On your first aid course, you’ll cover a variety of different treatments for various emergency scenarios. 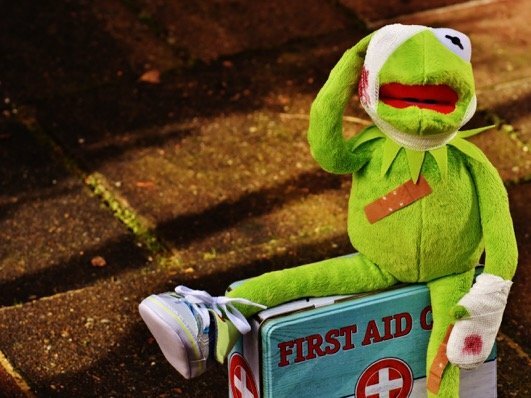 Most first aid courses across the UK should teach you a lot of things. They’ll give you the knowledge you need to take action in an emergency, helping those who are injured. You’ll learn what to do if someone is unconscious or not breathing and how to help them. First aid training gives you the skills to move someone into the recovery position safely, and all the different positions for adults, children and babies too. These can include electrocution, scalds or fire burns. You’ll learn what to do whilst you await the paramedics arrive/ treat the wound yourself. 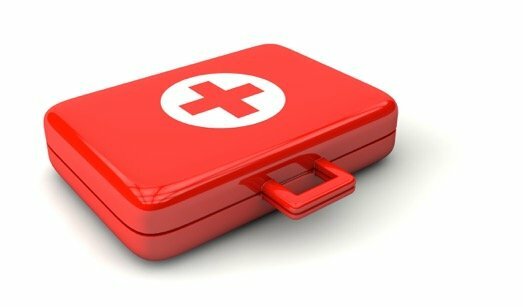 Blood loss prevention is key, so first aid will teach you how to stop bleeding from amputated parts, nose bleeds, objects lodged in the nose or ears as well as eye injuries too. First aid training will help you treat those that have been poisoned with both corrosive and non-corrosive substances. If someone has been knocked out or has concussion, you’ll be able to treat them for their injuries. For those that have suffered a spinal injury, first aid will help you in the treatment of them. First aid will give you the skills to aid someone who is fitting or convulsing. If someone is having an asthma attack, you’ll be able to help with their initial treatment. First aid helps you treat everything mentioned above. So, now you know what you’re getting yourself in for, do you think you can handle it? Whilst it is a big responsibility, it can feel empowering to help someone in need. As a qualified first aid giver, you’ll be able to provide assistance in accidents and emergencies before the paramedics or other medical teams arrive. If you’re squeamish however, it’s not ideal – WARNING there potentially could be some pretty grim incidents involving blood and other things, so you’ll need a strong stomach. Before you head off to your training, there’s some key things to remember. When it comes to giving CPR, try and compress to the tune of Stayin’ Alive by the Bee Gees. It’s a 120bpm song which means you’ll be pressing at the right intervals. So, get in there and impress your instructor with your knowledge! For all the rest of the training, seek out a local First Aid Training Course provider.